From Down by the Bay to I Love the Mountains, children will sing, dance, and learn with these songs about the wonderful world we live in. The CD is accompanied by a book with over 250 activities that teach children about the weather, the environment, gardening, nature, and love of country. 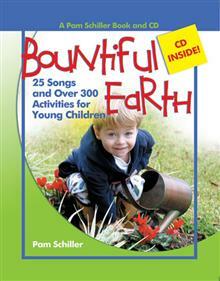 Each of the eight CD/book combinations will provide hours of learning fun. 128 pages plus CD.